In June we took part in Startup Live Vienna #7– an event revolving around web and mobile technologies, lean startup and customer development. The main idea behind the gathering is quite simple: to bring together people from various backgrounds, allow them to get to know each other and share their thoughts and insights towards developing a business idea / project. There are those who present their business ideas as well as those who are eager to join interdisciplinary teams with whom to elaborate on the pitched early business drafts. Me, Bartek and Rafał, we joined in on Friday afternoon. You could clearly see the effects of workshops that the pitchers had attended the day before. All the presentations delivered were very sound and each introduced an exciting story you might become a part of, at least for the two days to come. Our attention was caught by “The Patient Tool” – a healthcare-oriented project. Firstly, we had worked on healthcare solutions before (e.g., HearingPages, MyBestTreat) and thus thought we might be able to contribute. Secondly, we would have an opportunity to collaborate with such mentors as the people behind successful healthcare startups: Fredrik Debong – the Product Guy & Co-founder of mySugr, and Lukas Zinnagl, the Head of Product & Co-Founder of Diagnosia Internetservices GmbH. 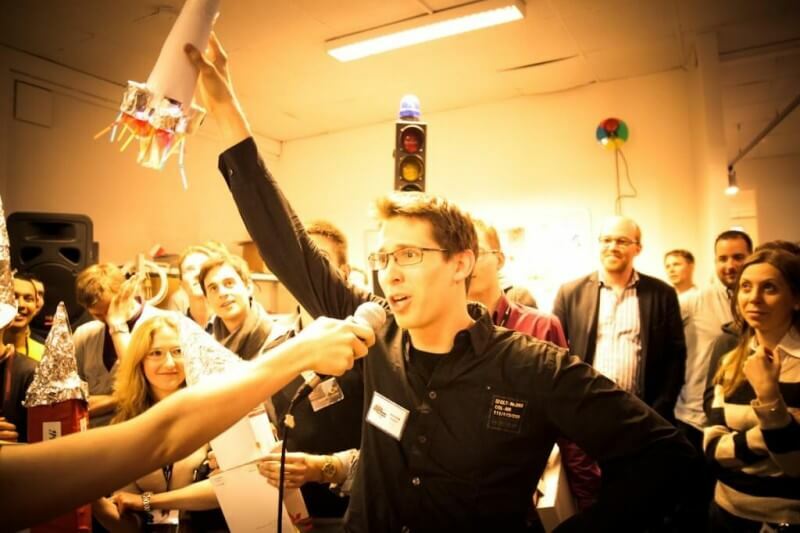 Compared to other similar events, like Seedhack London, for example, the Startup Live event put much more emphasis on pitching, gathering feedback and polishing the business idea. You could get the feel of the approach, for instance, in the insightful mentoring session conducted by Lukas Fittl who “loves modeling businesses and understanding how we can quickly test assumptions and reduce risk without waiting on technology to be built or partnerships to be signed”. We started the second day with an input session and promptly moved on to plan how to gather the feedback from the venture’s would-be customers. We came to the event without the knowledge about the specifics of the healthcare system in Austria. Luckily, we could rely on quite a few helpful people to bring us into the picture. While trying to understand the target customer, I seemed to have been focused too much on the quantitative data and too little on in-depth customer interviews, but, fortunately, with the other team members contributing from the other perspective we managed to arrive at a balanced overview, i.e., the one encompassing both the customer interviews and the quantitative customer surveys data. Two heads are better than one. In the afternoon we went through quite a few mentoring sessions. The mentors provided us with numerous insights, ideas and directions to explore. There is nothing more refreshing for an excited healthcare startup team than a bucket of cold water applied by an experienced down-to-earth physician. On day three, John Zerihoun, the founder of a few companies and a lecturer at Harvard Business School as well as the University of Innsbruck, delivered an exceptional morning workshop on presentation techniques. At about midday, we had a few more sessions with mentors, after which we focused on summing up what we had learned to prepare for the final pitches. The final pitches were excellent, and we were truly impressed by the feedback provided by the judges: Ondrej Bartos, a VC from Credo Ventures; JD, the CEO of meebee; Julian Breitenecker, the CEO at young enterprises; Michael Schuster from SpeedInvest; and Roland Moser from accent Gründerservice. Great thanks, guys. After the pitches, we spent the Sunday evening at a networking party, immersed in a number of stimulating talks. Great thanks to the organizer’s team, sponsors, mentors and all the participants. The event was fantastic and the Microsoft HQ venue was great to host the event. We hope to be able to benefit from more such Startup Live events to be organized by the START europe team in the future. They say they may be in Warsaw soon. That is good news for the entrepreneurial talent in Poland. You can read the excellent day-by-day roundup and/or browse through the photo albums to find out more details and feel the atmosphere of the event.